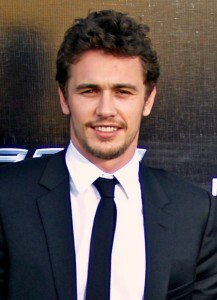 Oct26 Comments Off on Did James Franco’s bar mitzvah make a mockery of Jewish culture? Did James Franco’s bar mitzvah make a mockery of Jewish culture? Entering his last stretch of manhood, James Franco, actor-turned-performance artist, was thrown a bar mitzvah at the Hollywood Palladium in Los Angeles on Oct. 17. For context, this was actually a fundraiser for Seth Rogen and wife Lauren Miller’s Hilarity for Charity, an organization founded to raise awareness and research funding for the Alzheimer’s Association. The show featured Rogen as the emcee, running around as lead character Tevye from “Fiddler on the Roof” and comedians Kyle Kinane, Al Madrigal and Ron Funches performing jokes. The headliner was Franco’s circumcision by actor Jeff Goldblum, featuring Zac Efron making a digital appearance as the anatomical feature in question begging not to be sacrificed. Following Haim’s performance of “Hava Nagila”, a traditional Jewish anthem, Miley Cyrus ended the show with a bang performing as the one-time only band, Miley Cyrustein & The Super Jews. Overall, the event raised $2 million for Rogen’s organization and seemed like a good time. At first, I raised the question of whether or not this was necessary, let alone offensive: Franco is Jewish, as are Haim and many of the performers that participated, and perhaps there was true meaning in this event for Franco. But another part of me wonders if Hollywood has ever taken anything seriously. I admire Rogen and Miller’s cause and how they utilized their celebrity power for good, but the media hasn’t covered any reactions to this event, especially from the Jewish community. Had this taken place anywhere other than Hollywood, there might have been a protest or passive-aggressive online petition. As of now, it’s just news. Does that mean celebrities can get away with micro-aggressions and making mockeries of religion as long as they slap the title “for charity!” on it? Many would say that’s the whole point of comedy — to make light of the truth — but then again, you don’t become an outlandish celebrity without doing a few weird but somehow socially forgivable things. Now I’ll be the first to admit that I actually like Franco; he’s an interesting guy who knows how to get a reaction. But sometimes, he looks like he has no idea what he’s doing. As someone who not only won a Golden Globe in his career but also has almost six degrees under his belt, he’s quite unpredictable. But as we said with Shia LaBeouf after his artist movement outbreak, he’s just doing him. To bring this home, I’ll say that my reaction and shock has wavered over time. I actually find the whole event kind of creative and interesting. In fact, I’m jealous that I couldn’t go. I, too, mock my own culture, religion and ethnicity for a few laughs. However, I wonder if Hollywood will ever know when it has gone too far. In a land where Miley Cyrus can perform “We Can’t Stop” at a bar mitzvah and someone can get fake-circumcised on stage, I’d say that anything goes at this point. I’m actually excited to see what Franco will make fun of next for charity (maybe his career! ).